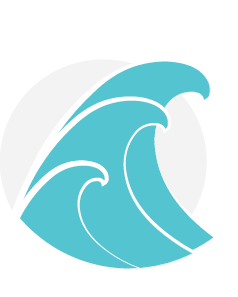 This article will let a user know how they can send a text to a certain reservation or a group of reservations. 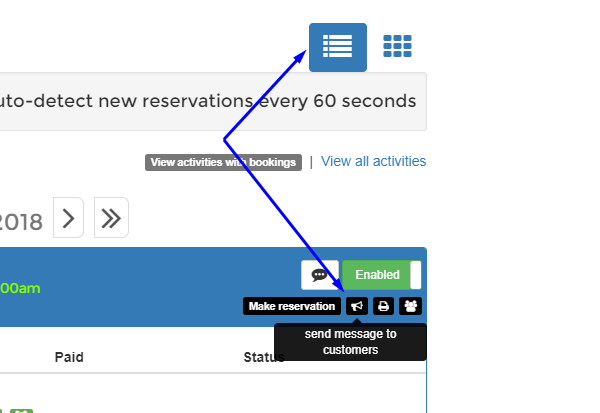 Send Message for Reservation: A user will need to go to that customer's resrvation (if a Group just select the Trip you want to message), make sure you are using List View and find the icon that looks like a small mega phone. Click on that and a box will pop-up to allow you to enter text. 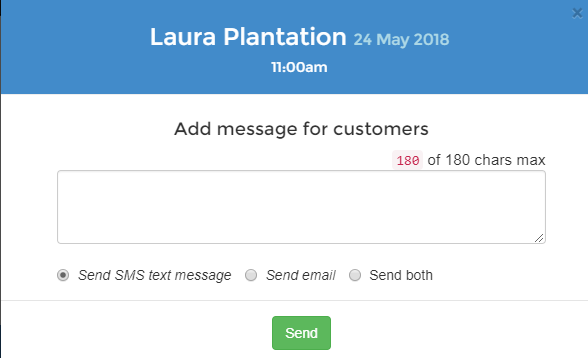 Enter the message to the customer and select Send. Note: You can either send a text or email or both to the customer.